Car-tilter (tm) coming along nicely! I just need some bits of angle to link the legs together and I may look at making it telescopic. Total cost £120 so far. Looks like you're winning with your Spider refurbishment . How long have you been working on her? Wow Stuart - that's really impressive! I presume that's box section steel that is bolted (welded? )to the engine stand? 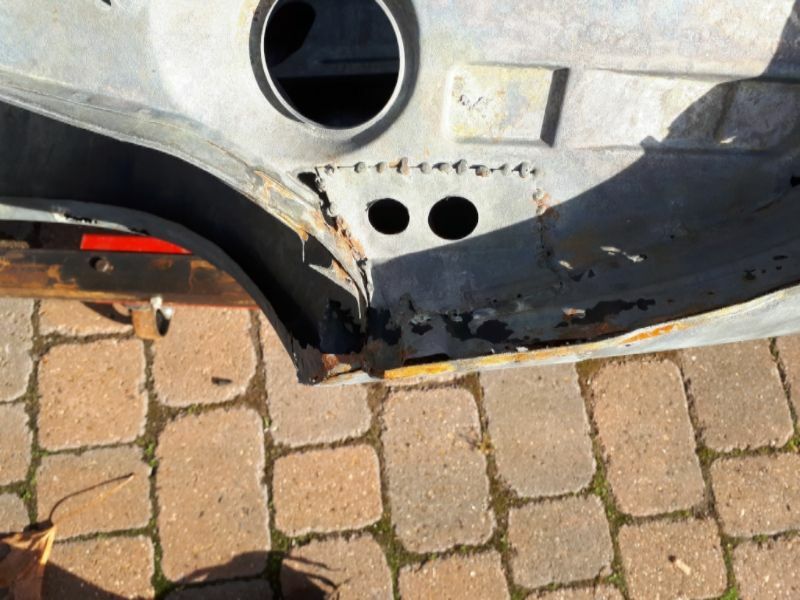 What are the points on the body shell that you've bolted to - are they the bumper mounting points? I presume the engine has been removed to lower the weight being rotated - can you rotate the car through a full 360 degrees without it scraping on the floor? I bought it in 2009 as a non-runner. It had been ziebarted when new some most of the car was solid a part from the front strut towers and the bottom of the A pillars which has succumbed due to lack of wheel arch liners. I'd just broken a very rotten Spider ( a bad buy) that had very good strut tops so they were swapped. I then drove if for until Summer 2015 doing a few engine mods along the way ( https://www.youtube.com/watch?v=_AgCW5sUsl4 any excuse to plug that clip! ) before investigating a hole in the bottom of the B pillar that was a little larger than expected. 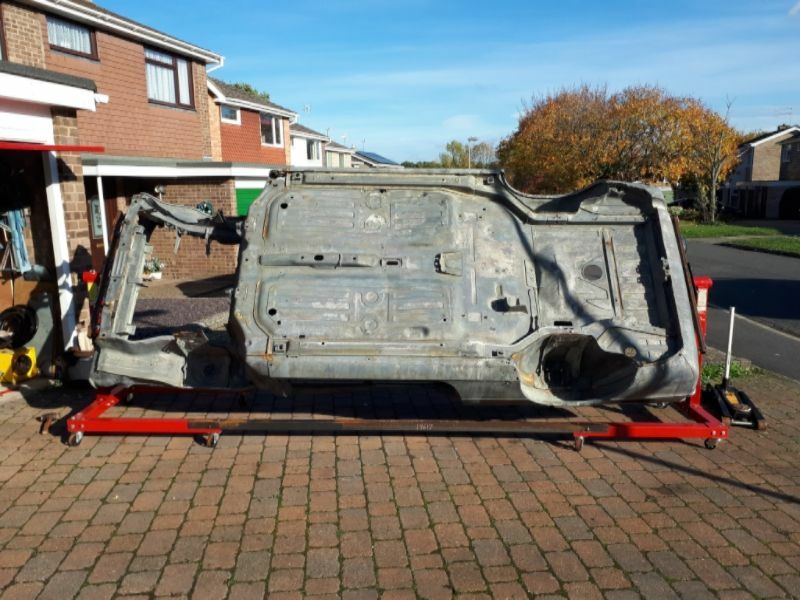 Though the car could have been got through another MOT I knew at some point it would have to come off the road for a full restoration - it was always a good ' 10 foot ' car - so that was the time to do it. Progress has been slow since but steady. The plan is to get it dipped in the next few months before welding and sorting a few bodges out. Yep - that's 25x50 box very securely bolted to the stands and to the bumper mounts. The engine was most definitely taken out first - no way would I trust it with the extra 200+kg in it. 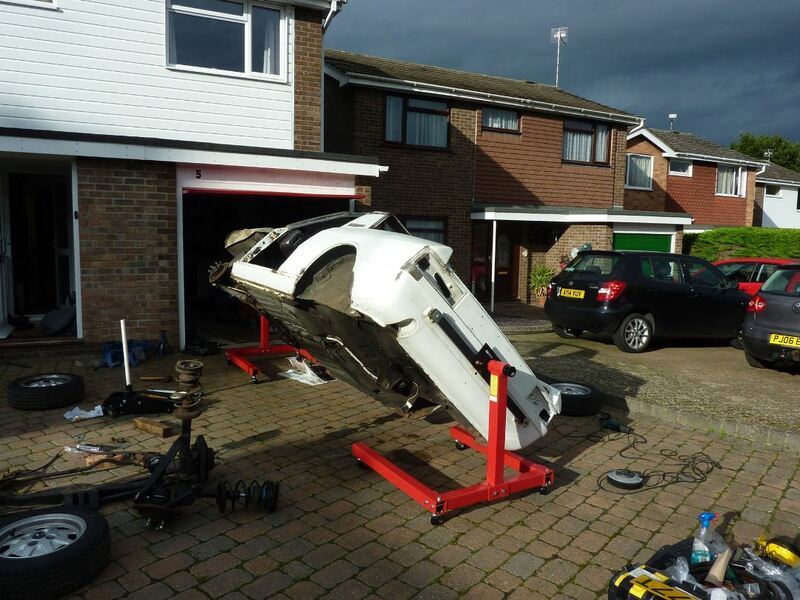 The subframe is left in place though as it adds quite a lot of strength to the front end. With the running gear off and the heavy stuff such as doors off the shell doesn't weight that much 3-400kg perhaps? It won't quite do a 360 yet but I have plans to make the uprights telescopic - they only need to go up another 150mm or so. Full marks, anyway Stuart. I'm impressed - not only with the thought and work that's gone into it, but your bravery in tackling it and getting it this far. Obviously the lighter you can make the shell, the better as far as putting it on a rotisserie. It's certainly given me food for thought. Would a Spider shell be rigid enough to permit this kind of approach, do you think? There are difference types of dip. I agree it's an area where you need to be careful. I'd be wary of one that used ( for example ) hydrochloric acid to remove everything. The process I'm considering uses a pyrolysis process to remove paint, filler oil underseal etc and then a phosphoric acid for the rust only. It certainly isn't being rushed!! I feel a bit guilty for how little time I've spent on it. 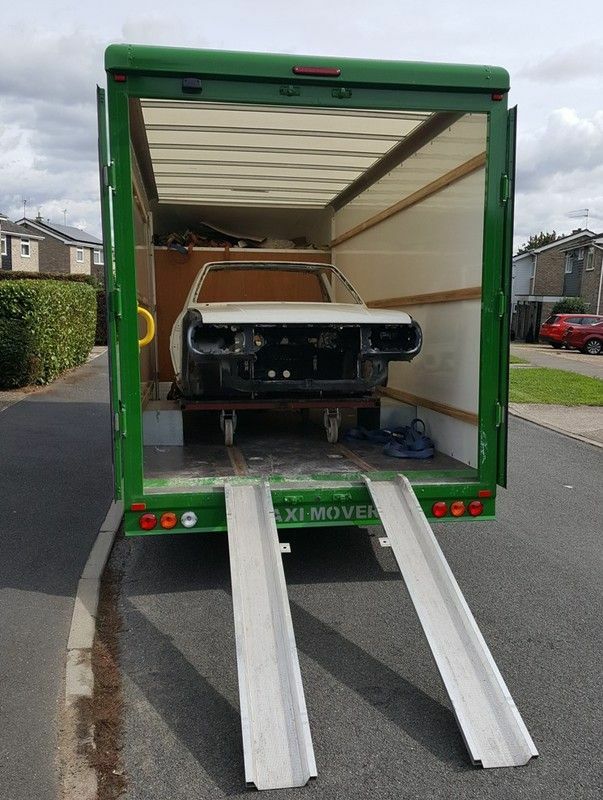 I sold my Alfa 916 GTV as it was a distraction but change of job and spending way too much time travelling for work have also taken their toll. I'll get to it though, it's too much fun to drive not to. Keep going! 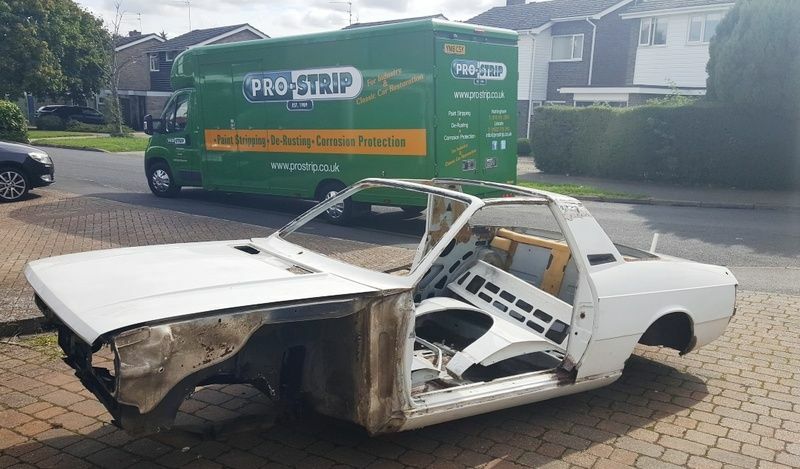 Mine comes back from Envirostrip today for the final works and paint. So hopefully by mid August I have shinny sound painted car needing a lot of bits bolted on. That's one of two places I'm considering. I'll be very interested to hear what your experience of them is. NB You may already be aware but the amount of lead that went into the spiders is amazing. Must be two kilos just on each B Pillar to roof join. It's been a long time coming but I finally got the shell fully stripped of parts so it's off for pyrolysis and a phosphoric acid dip. I'm quite impressed with the service and the van they sent to collect it. I shall look forward to seeing how much comes back. Very familiar as mine came back with some surprises which thankfully have no been repaired. Soon I get to see the lower half painted. Look forward to seeing your and Eric's Spider on the road. We need for the NEC stand Sounds possible for 2019. Good luck with the project. I got it back from it's acid bath on Thursday in the pouring rain. I didn't have a chance to have a decent look at it until yesterday and I'm really, really happy. I'd wondered whether it was worth the cost but what needs doing is do so much clearer including some areas I didn't know needed work. Its vindicated my choice to take it of the road in 2015 before it good too bad even though I could easly have got it through another MOT with a patch or two. Thank god all that Zeibart is now gone - it did it's job but it's disgusting stuff to remove. The body is largely really sound. There's quite a few minor jobs to sort but nothing huge. Mainly it's the ends of the sills, the bottom of the NS A Pillar the bottom of the rear 3/4 panels and the (badly designed) U channels new the sills and the floorpan. 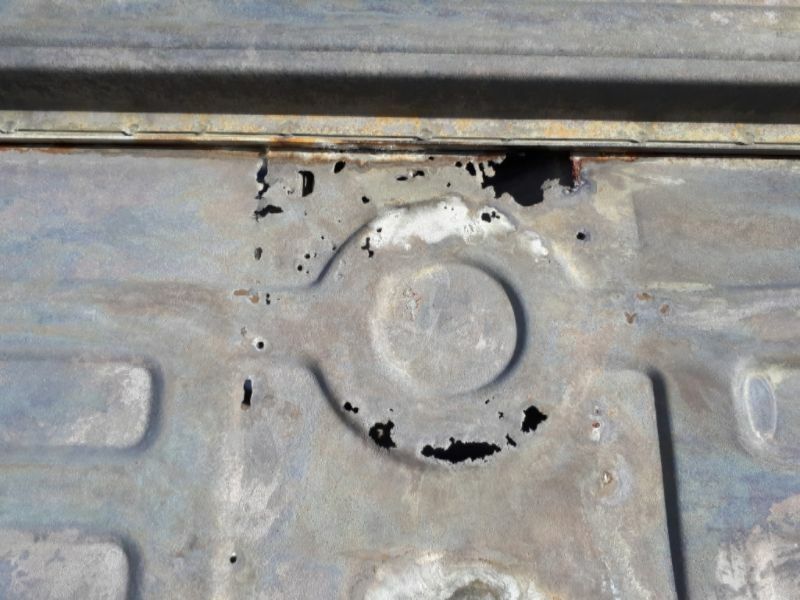 The biggest problem areas are where some bad repairs have been done previously. They must have used a ton of filler to cover one of the patches they'd crudely stuck on. The worst bit of the floor is under the centre crossmember on the NS. The front edge of the bonnet is perfect with only the strengthening ribs at the back (where it sits on the rubber seal by the scuttle panel) a bit lacy. 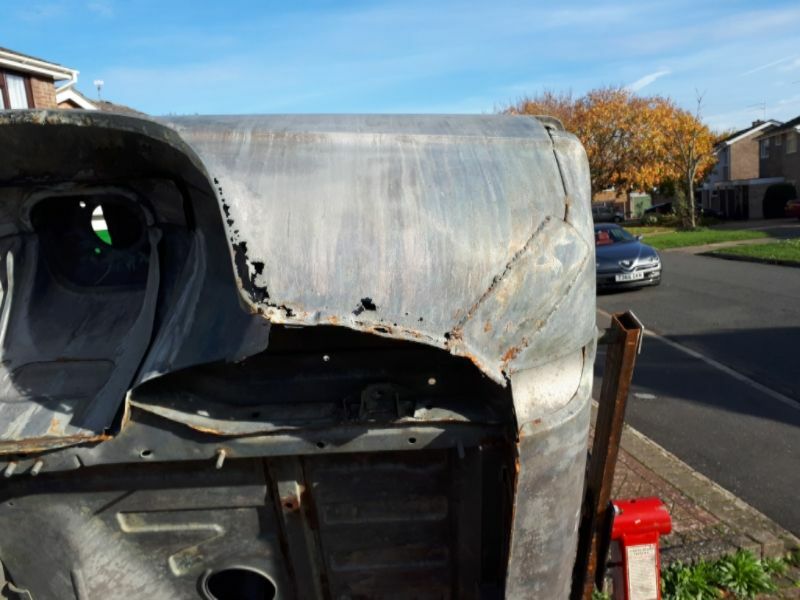 The Spider specific reinforcing sections under the sills are also very good (seriously thick metal here 2.0mm at least) and the inner & outer sills and the sandwich panel between them is also in great condition. 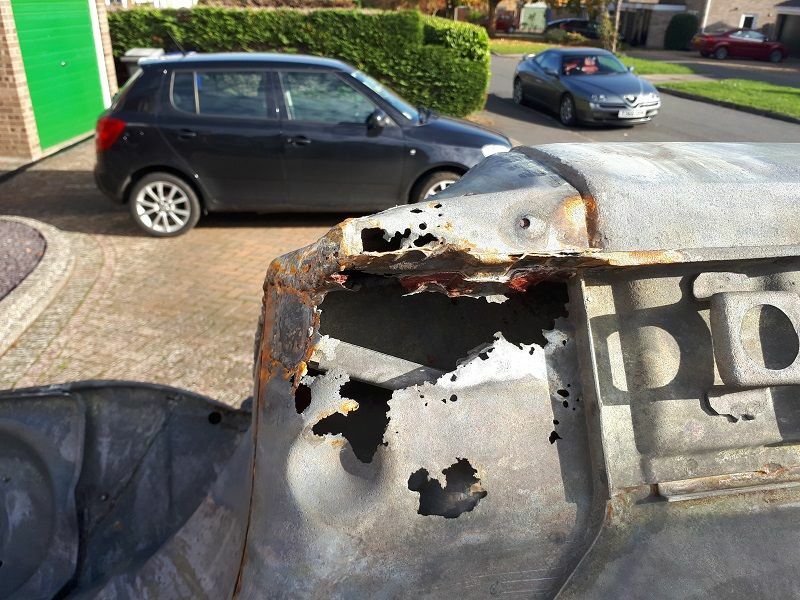 The rear turrets at good, one repair is required on the OS one. The screen surround and scuttle are also in amazing condition. The big question is what do I tackle first. I think I'm going to remove the centre crossmemember and deal with the floor up to about 1/2 way up the inner sills. Then I'll take off the outer sill and 3/4 panel on side at a time to give access to the other bits of the floor and the sill ends. Any thoughts on that would be appreciated.